Produktinformationen "Easy Korean Reading (Beginners)"
TalkToMeInKorean.com has provided FREE Korean language learning content to five million learners around the globe since 2009, and with over 800 lessons published on the official website at?TalkToMeInKorean.com, it has become the largest community in the world for Korean learners. 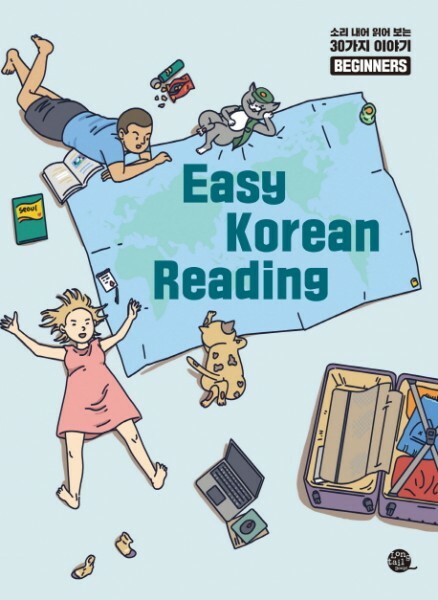 Easy Korean Reading For Beginners will help you have much more confidence in your Korean reading comprehension through 30 short stories about various everyday topics. If you've been learning Korean for more than at least a month now and feel like you are ready to start reading stuff, but you find regular novels and magazines too hard to begin with, our Easy Korean Reading For Beginners will be a great place to start. Weiterführende Links zu "Easy Korean Reading (Beginners)"
Kundenbewertungen für "Easy Korean Reading (Beginners)"